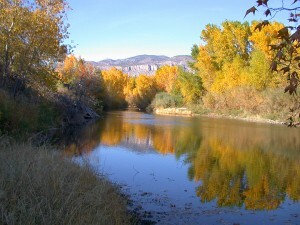 October and November are spectacular months in the Gila Country of Southwestern New Mexico. With the ending of the monsoon rains, the days are noticeably shorter and the skies have taken on a deeper shade of cobalt blue as the noonday sun tracks ever lower in the southern sky. The nighttime sky is changing too: clear and crisp, the stars in the Milky Way beg to be seen as they shine overhead with an incredible Fall brilliance that is impossible to describe. Here at Casitas de Gila Guesthouses, Jupiter is now rising early over Turtle Rock, heralding the much anticipated and slightly later arrival of the brilliant Pleiades or Seven Sisters star cluster. After another hour spent stargazing, and another log or two in the outdoor chimenea, the magnificent constellation of Orion, Great Hunter of Antiquity, slowly emerges from behind North and South Peaks to illuminate and dominate the Late Fall sky. 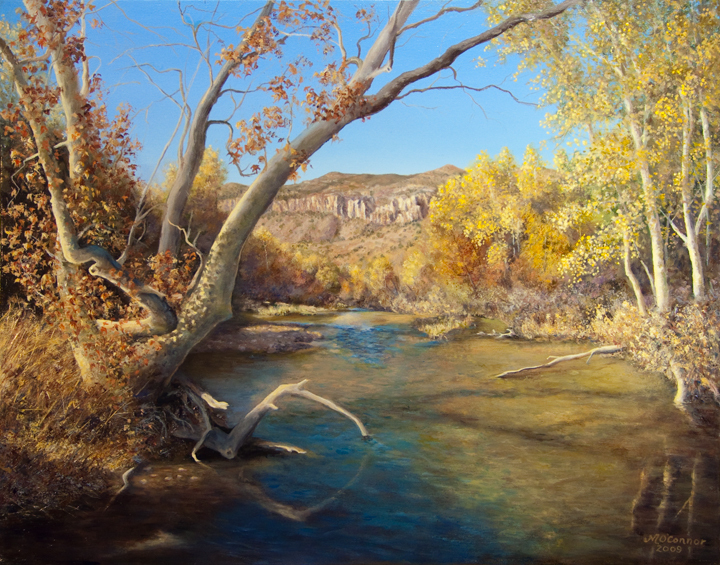 With dawn, and the streaming of crystal clear, sharp, morning light cascading into the Bear Creek floodplain below the Casitas, one notices that the leaves of the floodplain trees are changing color in earnest now. By late afternoon, different branches in the cottonwoods and willows are seen to flare up brilliantly in yellows and golds, awash in the last rays of the setting sun behind the Casitas. Having observed this spectacle of color for some 13 seasons now, we know that the many-hued oranges and reds of the Willow and Sycamore are still a few weeks off, patiently waiting their turn in Nature’s glorious pageant of Fall change. 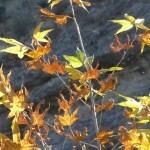 Fall is an especially wonderful season for hiking or motoring throughout the Gila Country of Southwestern New Mexico. 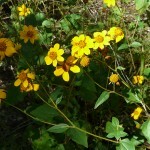 For the experienced hiker, the hundreds of miles of High Country hiking trails within the Gila National Forest and Gila Wilderness beckon with an early-season call that is impossible to ignore. 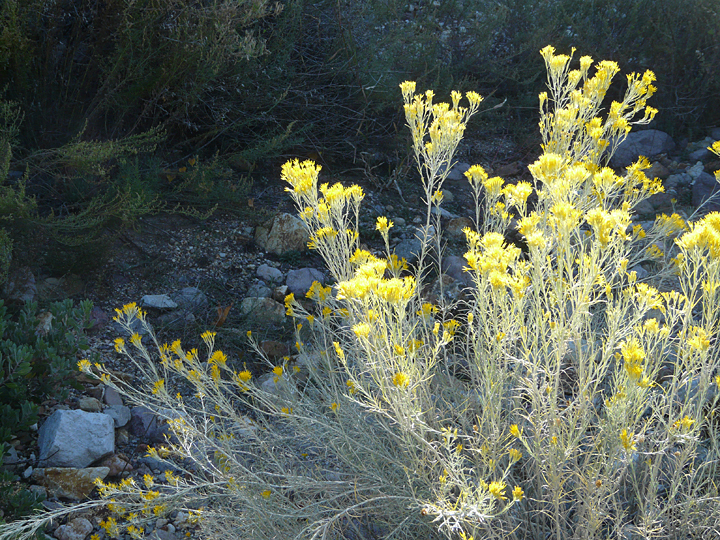 Now, and for the next few weeks, the highest trails, such as the Crest Trail (FT 182) accessed at Sandy Point on the Bursum Road (State Road 159) near Mogollon ghost town, are a hiker’s delight. For it is this time of year in early Fall when the vast groves of Aspen capping the high peaks of the Mogollons turn the trails into pathways of gold. To hike only a portion of the Crest Trail, immersed in the murmuring silence of the softly quaking and slowly falling golden leaves of the majestic Aspen, is an experience to be cherished forever. 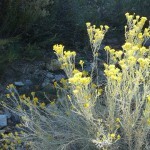 Closer to the Casitas, shorter and less strenuous but no less beautiful half-day hikes can be enjoyed this time of the year at the Catwalk or Mineral Creek or the Gila Riparian Preserve. These hikes are especially wonderful towards the end of October and early November when the lower elevation foliage of the old-growth cottonwoods and sycamores reach their peak. 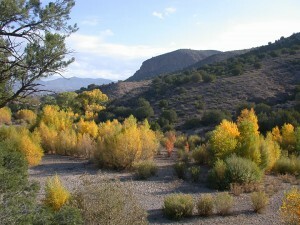 For the motoring guest staying at the Casitas, a day’s drive to the Gila Cliff Dwellings National Monument is an unforgettable journey during October and November, as each curve in this 40-mile, scenic, paved road unveils a new mountainous panorama more spectacular in its Fall colors than the last. Once reaching the Cliff Dwellings, it is just a short half-mile hike up to the Dwellings where an incomparable experience awaits when one sits quietly in one of several rooms of this ancient abode while looking out at the Fall foliage in the canyon below, with the cliff tops of ponderosa pine across and the cloudless blue sky above. 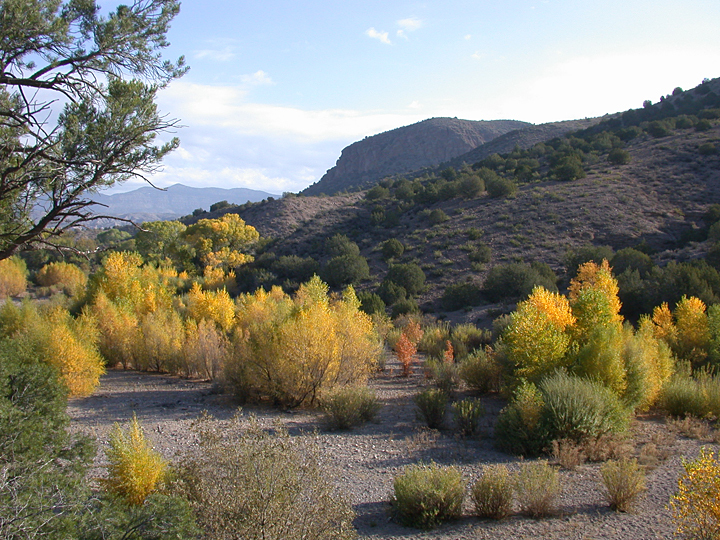 If your vehicle has moderate road clearance, a trip into the Gila National Forest to access pristine interior reaches of the Gila River via Turkey Creek Road (just a few miles from Casitas de Gila Guesthouses) offers spectacular Fall foliage and incredible vistas of the Gila Wilderness. Turkey Creek Road (SR 153) enters the Gila National Forest (where it becomes FR 155) on the south side of the Gila River, about 6 miles from the Casitas and the small community of Gila. Leaving the Gila River Valley, this gravel, but fairly-well maintained, forest road climbs steeply some 1,400 feet to an elevation of 5,800 feet where it runs along a mile-long ridge before descending to the Gila River. To stop, sit, or walk anywhere along this ridge and gaze south and west across the vast Gila River Valley below or west and north into the deeper mountain ramparts and recesses of the Mogollon Mountains and Gila Wilderness beyond when they are bathed in the hard afternoon light of Fall, is to become immersed in the eternal and unsurpassed Solitude of the Gila. 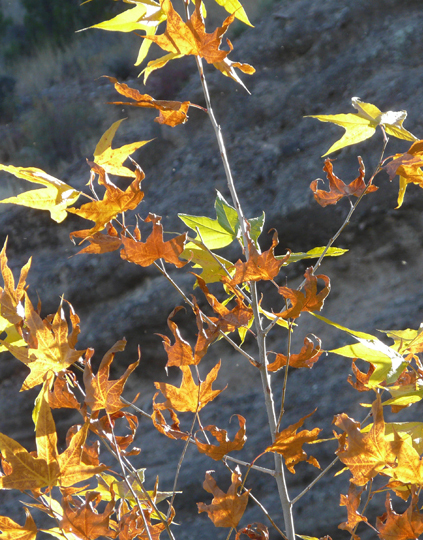 While it may be true that the pictures shown in this blog may convey a thousand words, to personally witness the Fall light and leaves of the Gila Country during October and November is without question an experience of a thousand memories. 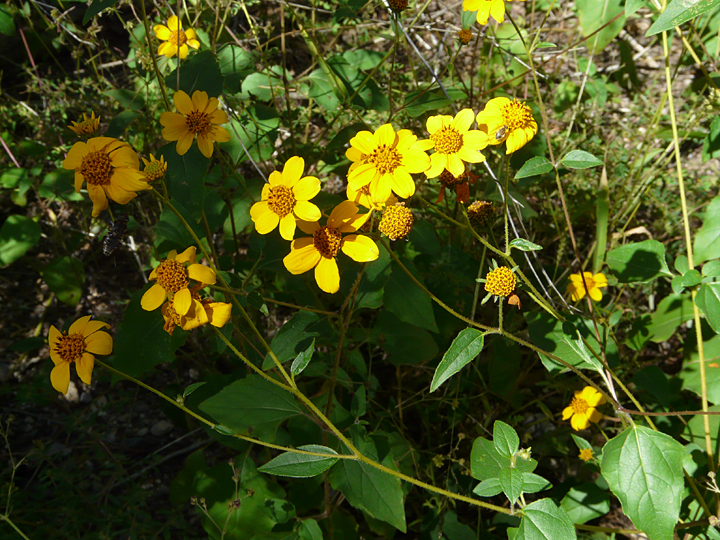 This entry was posted in Bear Creek, Gila Wilderness, hiking, native plants, nature preserve, New Mexico trees, stargazing, weather, wildflowers and tagged fall color. Bookmark the permalink.